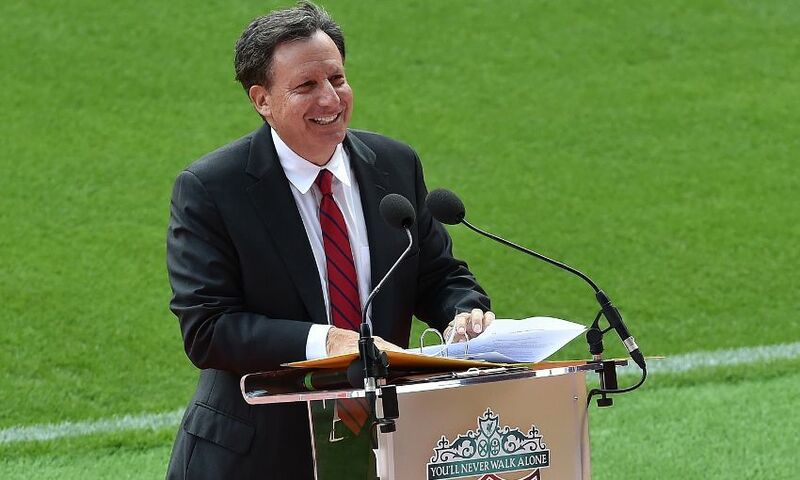 Liverpool chairman Tom Werner spoke of his immense pride at the official unveiling of the 'phenomenal' new Main Stand at Anfield. At a special event hosted in front of the new structure, Werner spoke of the immense work that has now come to fruition and praised the efforts in getting the stadium ready for its first game against Leicester City on Saturday. “To Ian Ayre, thank you for [your] kind words and thank you for your leadership which you’ve shown all of us during this journey. Ian, you should be personally proud of the role that you have played and the help and guidance you have given us as owners as we’ve sought to drive this project forward the past four years. “Today is a day where we have countless people to thank and I’ll come back to that in a few minutes. But as we stand here in the shadow of this phenomenal structure, it is easy to be taken by the sheer scale of what has been achieved in delivering it. “Over 1.8 million bricks and blocks used, in excess of over 5,000 tonnes of steel, 760 panes of glass and enough concrete to fill three Olympic size swimming pools, 6,000 light fittings, 500,000 metres of cable and all of this has been created to create a structure that is bigger than the pitch by more than five times. But these numbers as they are, are only part of the story. “Resolving Liverpool’s stadium issue has been a challenge to earlier owners long before our stewardship began six years ago. As one journalist recently noted, quote ‘after nearly two decades, multiple planning applications, hundreds of meetings with resident groups, courtroom battles and two takeovers, the significance of this occasion cannot be overestimated. “And for John, Linda, Mike and me, this project has been about understanding Liverpool Football Club to its core - its past, its present and its future, and staying here at Anfield is critical to maintaining that special feeling that separates our club from equally illustrious rivals. “We fell in love with Anfield the first time we set foot here, how could you not? We felt it was more than just a building. It was a collection of shared memories and experiences, a place where generations have shared glory, and passion and tension, and of course sorrow and pain as well. “The people of Liverpool have celebrated here together in good times and comforted each other in tragedy. “We stand here on the shoulders of players like Billy Liddell, Emlyn Hughes and Roger Hunt, Kenny Dalglish, Ian Rush, Jamie Carragher and Steven Gerrard. And we feel the presence of managers such as Bill Shankly, Bob Paisley and Joe Fagan. “So for us this project is not just about improving our home. We want all of the supporters to feel what we feel, which is future success on the pitch. Because Anfield isn’t just where we play our matches, it’s home and is as much a part of the identity of the club as the Liver Bird on the crest of the shirt. “So I hope today when you come inside and when many more thousands come in here tomorrow, they will think that every decision we have made has been to protect the integrity of Anfield, while looking to modernise and progress the club so we can continue to compete at the highest level possible. “The crucial factor on this journey for us as ownership was to ensure that the club listened to key stakeholders during this process. We listened to our supporters, we listened to the local community, we listened to our players and our manager and we listened to the Hillsborough families. And all these groups have joined us on this journey and helped to play their part in what we see before us today. “We also received valuable input from the local community here at Anfield. We recognised the challenges we faced as a result of uncertainty over regeneration and we hope going forward that this facility will bring employment and economic benefits to you, and as good neighbours we can enjoy the redeveloped stadium together. “So before I hand over to someone I’m sure you are very eager to hear from in Mr Klopp, I want to echo some of the important thank yous that Ian Ayre has made in his opening remarks. “To the hundreds of workers who have been so diligent in their efforts, you should be so proud of this magnificent structure you have played such an important part in constructing. “To Carillion, who led the project on the construction side, you have delivered a fantastic finished article. “To Mayor Anderson, Ged Fitzgerald, the Liverpool City Council and Your Housing Group, we all joined forces with you as part of this Anfield project two years ago and you have been fantastic partners. Your vision to regenerate Anfield and this entire area and make it a better place to live, work and visit is to be commended. “Already you have created nearly 400 new homes in this area, with plans for another 100 plus. “And most of all to our supporters. Thanks for your steadfast and loyal support, which is the very reason we embarked on this adventure in the first place.